As the season comes to a close, our meadow has a few blooms left along with native grasses that are developing their seedheads (inflorescense). 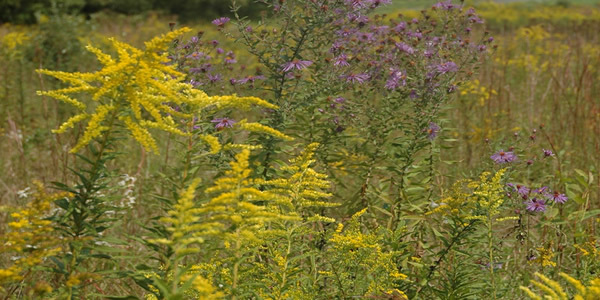 The yellow blooms of Goldenrod (Solidago) are quite nice with the purple blooms of Ironweed (Vernonia). The brownish-red stalks of Little Bluestem will persist well into winter.